Expression tone generator. 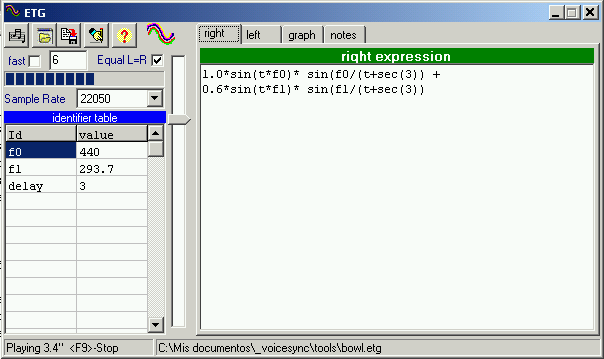 Generates stereo tone based in L+R channel algebraic expressions, supports (), +-*/, < > <> = >= <=, sin cos exp log log10 sqrt asin acos atan sqrt abs and the PI and PHI constants. Math is a gateway for generating vibrations and feeling them trough sound.